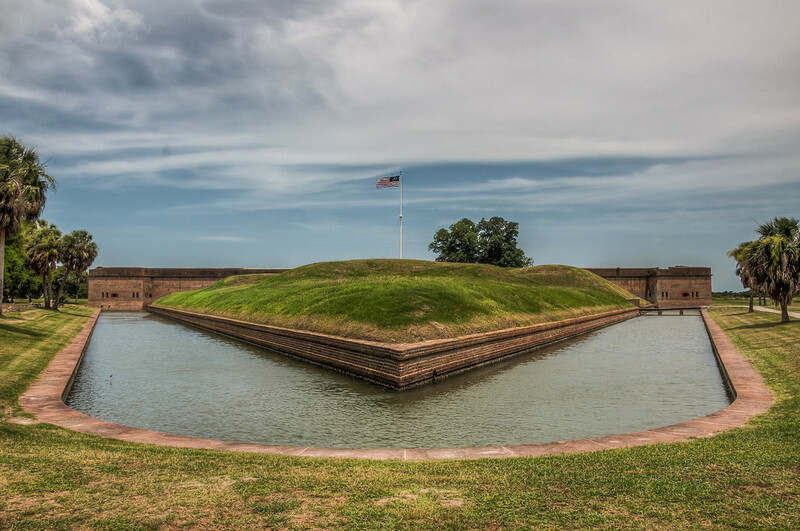 Fort Pulaski | Just Shooting Memories! Built in the early 1800’s and finished in 1847, this fortification has a long history. It was named after Count Casmir Pulaski and, at one point, commanded by Robert E. Lee before the beginning of the Civil War. During his command, Lee commented that the fort was impenetrable. However, that was to be proven wrong years later during an assault by Union soldiers using rifled cannons. After a 30 hour assault, Confederate commander, Col. Olmstead, surrendered the fort.